Pressing the "Run program Spread footing" button opens the program "Spread footing" which allows to calculate the soil bearing capacity or settlement and rotation of the footing. 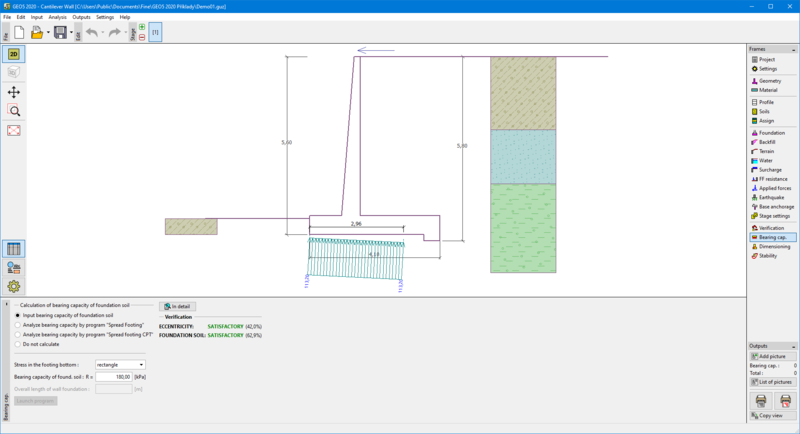 Pressing the "OK" button leaves the analysis mode - the results and all plots are transferred into the program "Cantilever wall". The "Spread footing" program must be installed for the button to be active. Overall length of wall foundation is input.